Dr. Prabhu Goel and Mrs. Poonam Goel started the Foundation for Excellence (FFE), to benefit bright students who could not afford a quality education in India. FFE has become one of the largest scholarship donors in India. Prabhu is an entrepreneur and philanthropist, and is one of the largest contributors to his alma mater, Indian Institute of technology, Kanpur. He has set up “Poonam and Prabhu Goel Chair” at the Department of Computer Science and Engineering at IIT Kanpur in the area of Internet Space,[and the “Prabhu Goel Research Centre For Computer & Internet Security”. 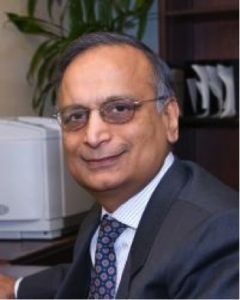 He was a founding member of TiE (The Indus Entrepreneur) the largest organization of entrepreneurs in the world, with chapters in 42 countries.